Lowers the blood sugar levels and urine sugar levels. To heal foot ulcers in diabetics. Prickly heat on the upper body. The red and itchy pimples vanish subside with Syzygium. Patients often experience marked weakness and unquenchable thirst. Dose-15 drops of Syzygium Jambolinum mother tincture in half a cup of normal water twice a day until symptoms disappear or as prescribed by physician. It can be taken along with allopathy medicines. Similar drugs- Homeopathic remedy Insulin. 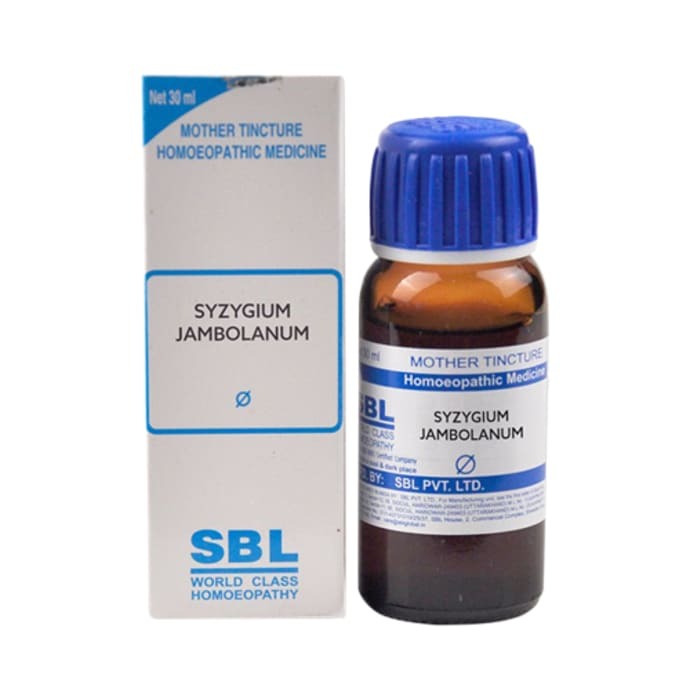 A licensed pharmacy from your nearest location will deliver SBL Syzygium Jambolanum Mother Tincture Q. Once the pharmacy accepts your order, the details of the pharmacy will be shared with you. Acceptance of your order is based on the validity of your prescription and the availability of this medicine.